Learning sometimes leads to knowledge but these terms are often used interchangeably to refer to the process of acquiring knowledge. 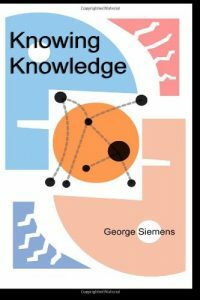 ‘Knowing Knowledge’ by George Siemens forces us to rethink pedagogy and curriculum. The world is changing rapidly and to remain relevant we also need to change the way we think and approach problems. Knowing knowledge explores how learning and knowledge can impact our lives and in the world. The book goes further to recommend the necessary changes that educational institutions and corporations will need to make in order to align themselves with the developing trends. You can get your copy from Amazon.